Got kids between the ages of 7 and 17? Odds are they pester you to play Fortnite, the all-guns-a-blazing video game that gamers can’t get enough of. Now imagine if you could transfer their adrenaline, enthusiasm and excitement for Fortnite from the screen into your backyard (or nearby park)? AND just in time for your child’s next birthday? Now you can, thanks to Laser Tag in a Box. That’s right mums and dads! Bring the fun of Fortnite outside (and off the screen) for the ultimate Fortnite Battle Royale Birthday Party! We’ve got a weekend of live-action awesomeness to give away, valued at over $500 and perfect for any mini gaming enthusiast. The package includes all laser tag equipment hire for 10 players for 2 FULL days (Saturday AND Sunday, if you book for a weekend**). 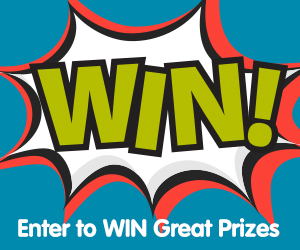 Simply keep scrolling for your chance to win! Most of us parents have a love/hate relationship with Fortnite and other Battle Royale type video games. Sure, they entertain our kids so we can actually get stuff done. But they also lead to excessive screen time. 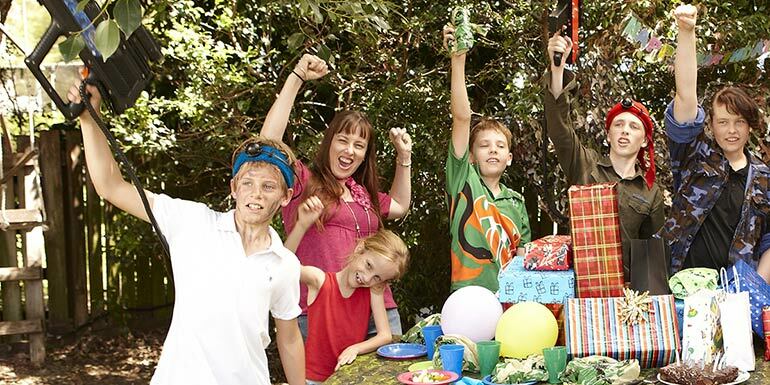 Our friends over at Laser Tag in a Box have come up with an epic solution – bring this game of adventure outside. And let the little ones burn some energy and battle it out in real life, not in front of a screen. Like Fortnite, the object of Battle Royale laser tag is to be the last gamer standing. To win, you need to tag your opponents and try not to get deactivated. It’s all about playing smart and outlasting the others by finding the best hiding spots, aiming accurately and acting fast. 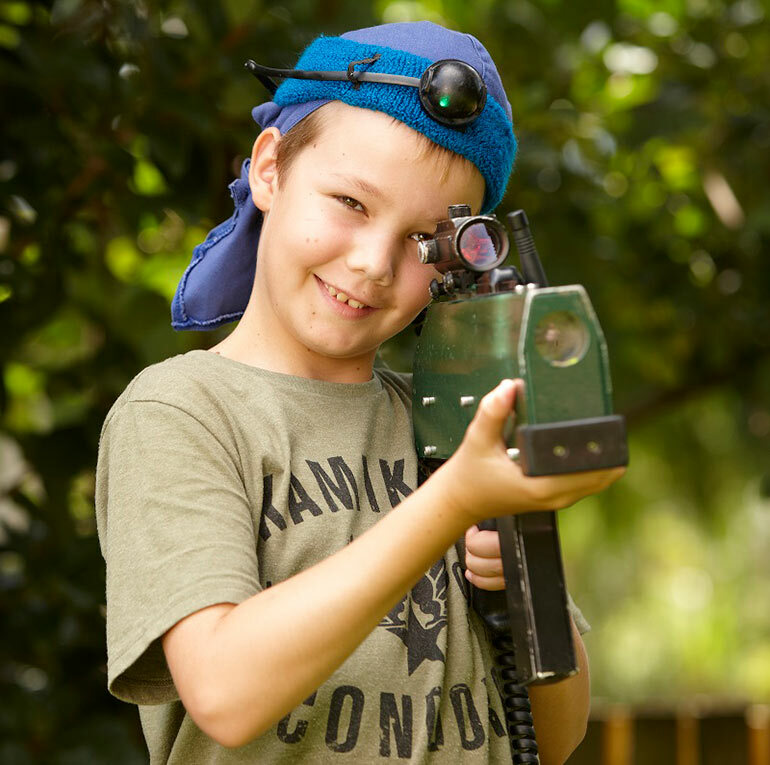 Battle Royale laser tag is suitable for kids aged five and up and the equipment works day or night, indoors and outdoors. The gear includes long lasting batteries for multiple uses and hours of fun with each phaser equipped with sensors, infrared sounds and effects. 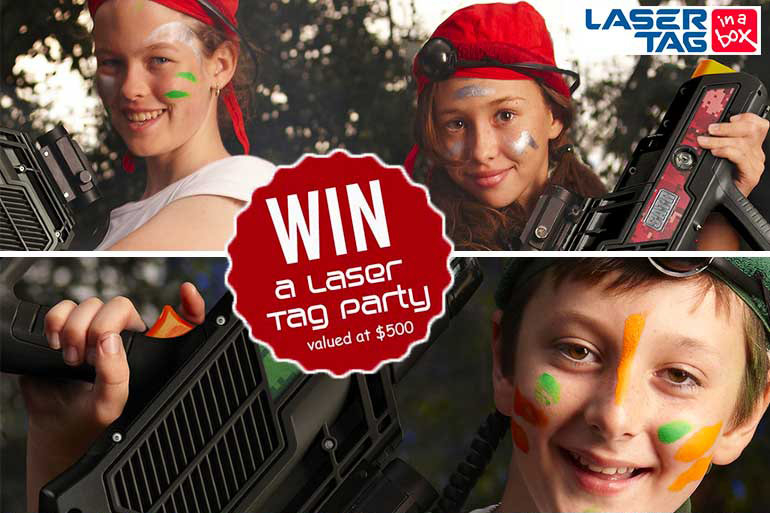 If you’ve been itching to give Laser Tag a go, then this is the perfect chance. Trust us, the kids will love it and so will you! After all, more time spent outdoors means less time in front of the television or computer! Once the party is over, simply organise pick-up and Laser Tag in a Box will collect the hire equipment. No mess. No fuss. And no bulky equipment to store! 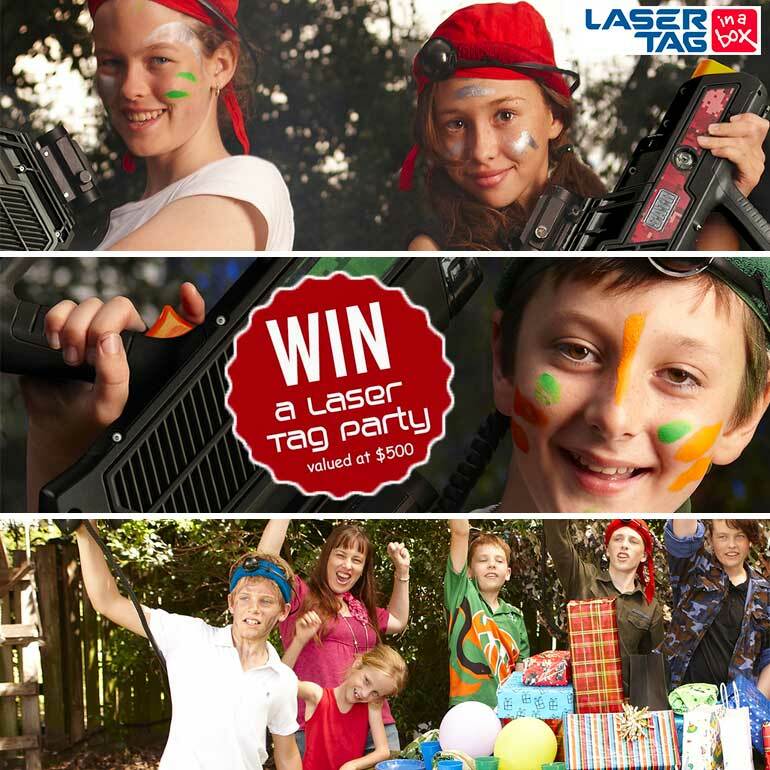 Give them the gift of free-for-all fun thanks to Laser Tag in a Box and their Battle Royale Laser Tag Prize Pack*. 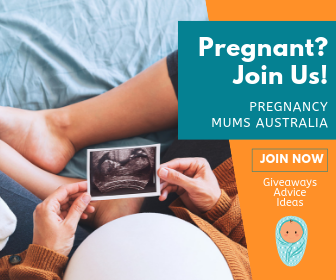 Fill in the form below to be in the running to win! *Prize voucher valid for 12 months. ** Hire terms: Two day hire applies if booked for a weekend (Saturday and Sunday). If booked on a long weekend, the winner will receive a bonus day (three days). If booked mid-week, it is only a one day hire. OMG – Fortnite is rated 12 plus. 7 year olds should not be playing it let alone have it promoted to them or their parents like this. It is hard to protect kids from this with so many parents not enforcing the age rating – let kids be kids, they don’t need to be immersed in violence so young. Very disappointed that a site like this isn’t acting more responsibly. When is this competition drawn ? Told my son about it and he is asking me to check . We are keeping our fingers and toes crossed ! !